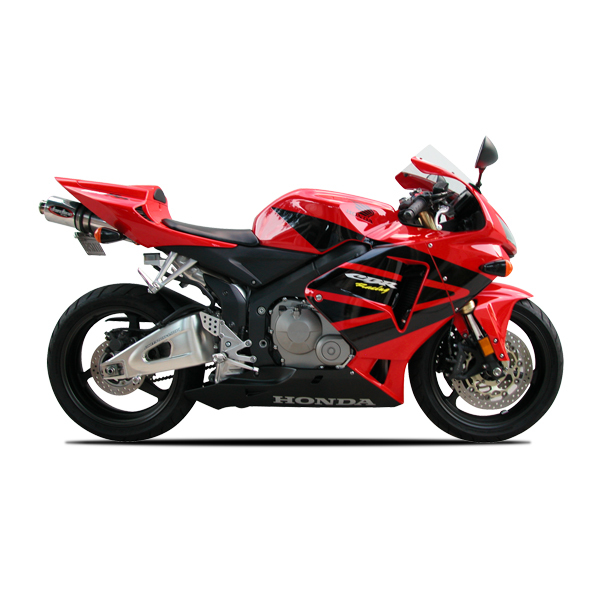 The Honda CBR600 is a 599 cc (36.6 cu in) sport bike, part of the CBR series that was introduced by Honda in 2003 as a race replica version of Honda's CBR600F series. It won every Supersport World Championship title from 2002 to 2008, and again in 2010 and 2014. The Honda CBR600 equipped with Liquid-cooled DOHC 16-valve 599 CC inline-four engine features oversquare bore and stroke dimensions of 67 mm x 42.5 mm, which provides to its high-revving, quick-accelerating energy. The lightweight forged-aluminum pistons incorporate special shot peening for added toughness, and oil jets beneath the pistons provide additional friction reduction and cooling.